This tutorial covers the steps to create a custom template and use this template to export data from System One to Excel. You can access the Template Settings via the System settings or your Personal settings. 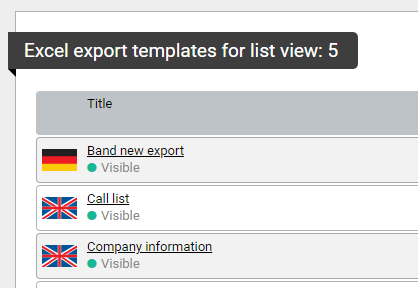 Go to the Template settings and go the Excel export templates for list view. Navigate to the section from where you want to export and create a new export template by choosing New. Give the template a name. 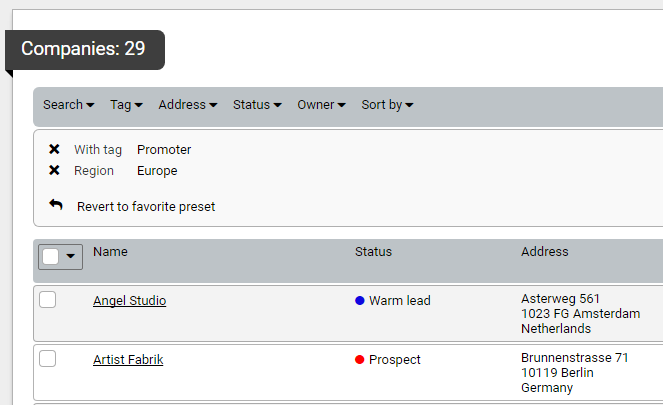 In this example we will create a template called Company information in the Company section. Then choose the button Add columns to add the database columns that you want to use in your export. When you are done selecting the data columns, close the panel and select Save. The template you have just created is now visible in the list. 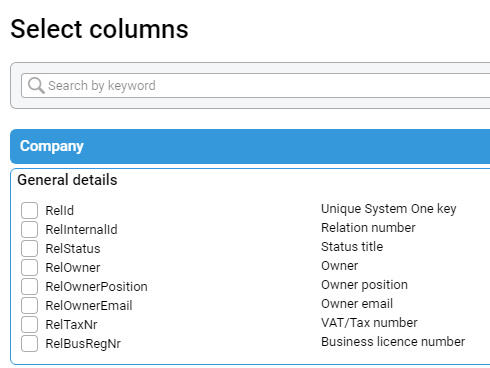 Tip: you can rename the labels of the columns and change the order in which they export by dragging columns up or down. 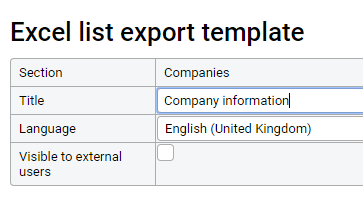 To use the export, you need to navigate to the section you want to export data from (in this example, the Company section). Here you can export all the available data or use the available filters to export a specific set of data. 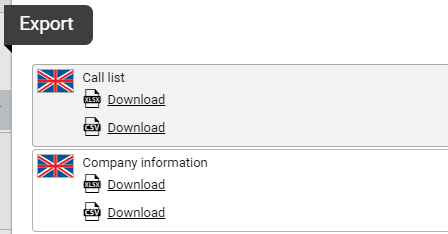 Choose the download icon to access the template that you have created and select the export Company information.